Getting Your Fundraiser Started Is Easy! 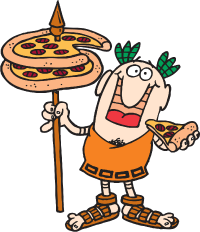 It’s easy to get your Little Caesars® Pizza Kit fundraiser started! Register Online at your convenience 24 hours a day, or call us Monday-Friday from 8:30 a.m. - 8:00 p.m. ET. We will guide you through the entire process and work with you to schedule your delivery date and time to get your group/organization on the way to earning Big! Big! Dough! The more Little Caesars® Pizza Kits your group/organization sells, the more dough you make. Earn $6 on every Kit sold*! You’ll be amazed at how quickly your profits add up! We recommend actively selling for 2-3 weeks. During this time, your Sellers collect their orders and payment. Your Sellers will collect payment as they take orders, or your supporters may purchase online by credit card. To get the most out of your fundraiser, be sure to take advantage of our e-mail invites and easy-to-use online sales tools. We suggest allowing one week to collect brochures and payment from your Sellers, gather any late orders, tally the number of Kits you need to have delivered and place your final order. Payment for your fundraiser is due at delivery. The delivery driver will accept payment in the form of a cashier’s check or money order. School checks will also be accepted. Delivery drivers cannot accept cash, organization/personal/starter checks or credit cards. Your Kits will be delivered directly to your location in a refrigerated truck. To ensure a quick and smooth delivery, take delivery in an accessible area, avoiding stairs whenever possible. Enlist one volunteer helper for every 100 items sold to help sort and distribute your orders. Schedule your pick-up time 1-3 hours after your delivery time to allow enough time to unload, count and sort orders. *Profit, delivery minimums and under the minimum charges will apply and may vary in Canada.